Choosing the right college is a big decision and can seem like a daunting task. 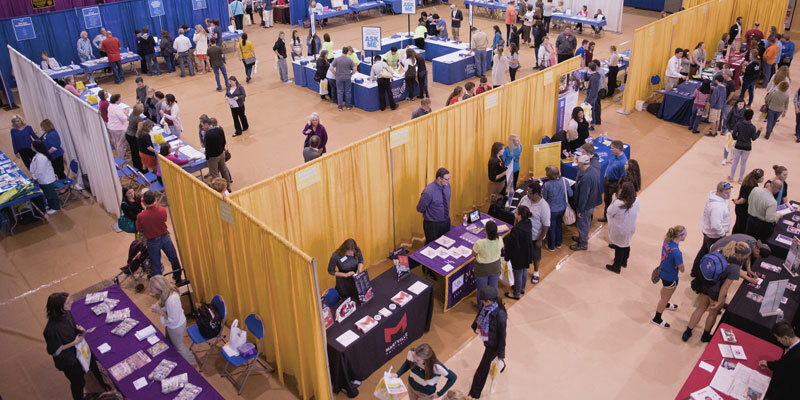 Take some of the stress out of your search and attend College Night, Wednesday, October 17, 2018 from 5:30 – 7 pm at the East Peoria Campus ICC CougarPlex. College Night gives student a chance to talk to over 70 colleges all in one night. College representatives will be on-hand to visit with students and their parents about programs, the admission process, scholarship and financial aid opportunities, as well as answer other questions students and parents may have. Transfer reps will also be speaking to current students during Transfer Day in the East Peoria Campus, Atrium and Student Lounge from 10 am – 12:30 pm on Wednesday, October 17, 2018.